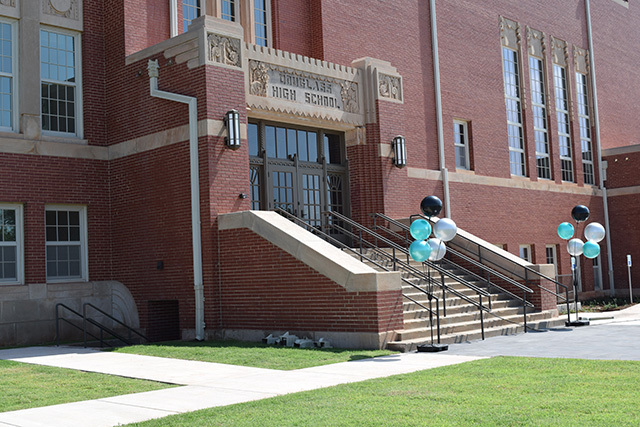 For nearly 60 years, the historic two-story brick building located on a hill in Oklahoma City’s JFK Neighborhood served as a public school – first as the original home to Douglass High School from 1935 to 1954, and later as Page Woodson School. When the school closed its doors in 1993, the building remained abandoned until 2015, when developers Ron and Jason Bradshaw received approval from the Oklahoma City Urban Renewal Authority to restore the property and convert it into much-needed multi-family affordable housing. 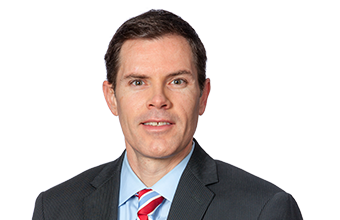 This week, the newly renovated apartment complex – named “The Douglass” – welcomes its first tenant, McAfee & Taft’s own Chris Allen. 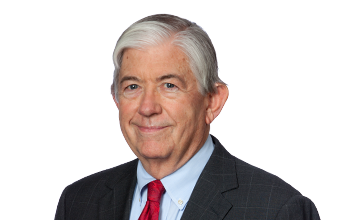 Allen, a clerk in the firm’s Office Services department, was featured in a story in The Journal Record titled “Redeveloped for residential use, former school gets first tenant.” Also interviewed for the article were Frank Hill and Bonner Gonzalez, McAfee & Taft attorneys who served as real estate and tax counsel to the Bradshaws and who played a key role in securing the tax credits that helped make the redevelopment possible. For Allen, his new apartment is the answer to a prayer. Months ago, when faced with the challenge of finding permanent affordable housing, the Arkansas native told Hill he was contemplating moving back to his hometown of Little Rock. 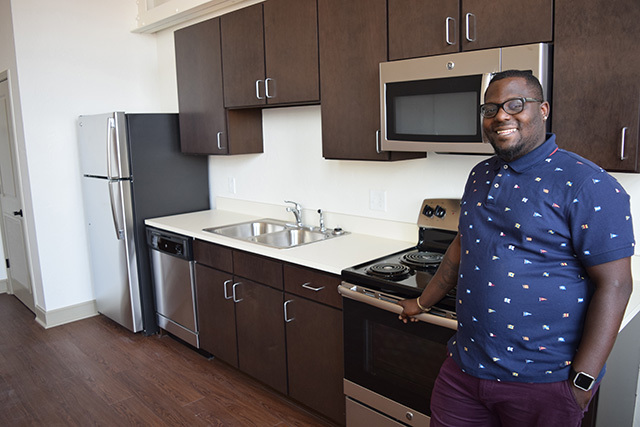 Hill liked what he saw in the friendly, outgoing young man and wanted him to stay in Oklahoma City, so he encouraged him to apply and qualify for a new apartment at The Douglass. At first Allen questioned the idea of living in an old school, but after touring the building and researching its history, he quickly changed his mind. According to developer Ron Bradshaw, Allen represents the ideal tenant – someone who meets the income requirements, has a job and maintained his credit, and is working on bettering himself. After moving into his new home, Allen’s next goal is to go to college and become a paralegal.